A total of 72 records set for the week. With 38 new records being set and 34 existing records being broken. must have exceeded 200MPH whilst setting a new record for their class Trevor Slaughter, Trevor Clare, Mark Dunn, Norm Hardinge, John Dent, Norman Bradshaw, Mark Love, James Stewart, Greg Watters, Wayne Pickles, Brett De Stoop, Chris Bryson, Steve Williams, Ken Robinson, Andrew Maslen, David Haas, Ralph Nicholls. Please return to this page for lots more reports and photos over the coming days / weeks. Remember to refresh the page or clear your cache to make sure you are getting the most current version. 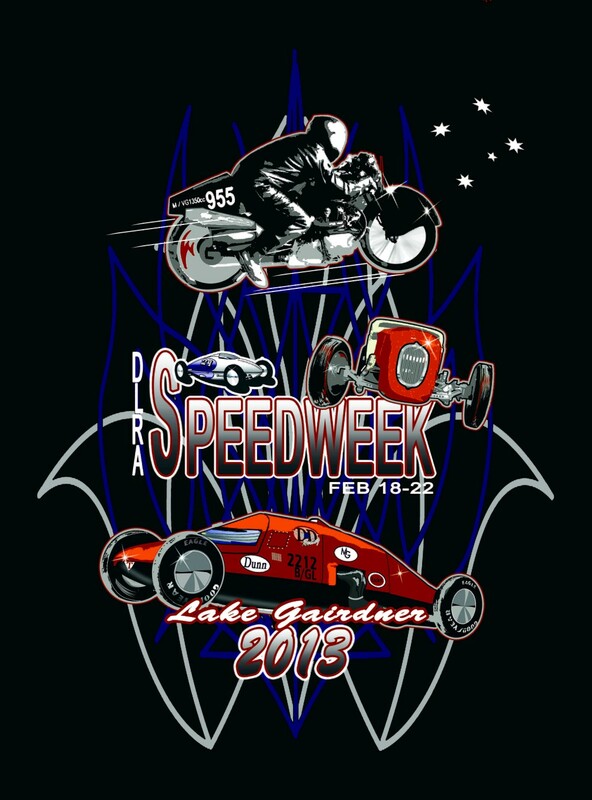 official Results of DLRA Speed Week, February 18th - 23rd 2013 - Tony Cooke, DLRA Chief Timer. Any application for amendments to these results must be made on the Results and Records Amendment Form. Speed shown in RED is highest speed recorded for that class up and including this year. Timed (long and short track) speeds shown to 3 decimal places, speeds to be confirmed by Timer. GPS speeds shown to 1 decimal place. Will start posting photos in the next day or two. Please provide a date, so I can put them on the appropriate page. Acknowledgement will be given where known.